James Dixon Architect PC is an award winning, full-service architectural practice, with offices in Chatham, New York and Portland, Oregon. The staff consists of nine architects and a full-time business manager. The firm specializes in high-end residential design, with projects throughout the United States, Canada, and Europe. James Dixon holds a Bachelor of Architecture Degree from the University of Oregon, and a Graduate Diploma in Architectural History & Theory from the Architectural Association, London. Mr. Dixon is a Registered Architect, and member of the American Institute of Architects. James Dixon Architect PC is a member of the U.S. Green Building Council (USGBC), and provides LEED-Accredited Professional design services. For the past 15 years, Balzer and Tuck Architecture has produced thoughtfully designed buildings and places with enduring quality and character. Our growing team of architects, designers, and LEED-certified professionals strives to help clients create sensitive and efficient homes, retreats, and businesses that enhance the community. Balzer and Tuck offers services in master planning, architectural programming and design, and interior design with a robust portfolio featuring expertise in single and multi-family residences, adaptive and mixed-use spaces, and commercial and institutional buildings. We strongly believe that project management, the integration of building systems, and construction observation are integral to the design process and go hand-in-hand with exceptional finished quality. 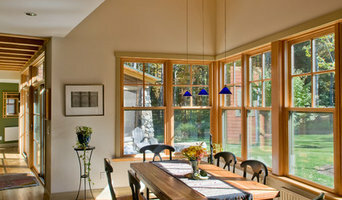 Red House Design is a multi-disciplinary design and architecture firm based in Great Barrington, Massachusetts. Our current work includes custom-designed homes and commercial buildings, residential interiors, renovations, restorations and additions to existing properties with an emphasis on sustainable and energy efficient building materials and methodologies. Co-founders Bruce Moore and Michael Alper have collaborated on design for renovations and new construction since 1993, focusing on a variety of residential scale projects. Bruce, a registered architect in Massachusetts, New York and Connecticut with over twenty years experience in corporate, commercial, mixed use and residential architecture and interiors, has traditionally led the business and technical sides of the projects, while Michael, who has over twenty years of experience as an interior and retail designer, has focused on the visual aspects of the project work. Call us today to discuss how we might collaborate together on a project! At Julia Metcalf Architecture & Interior Design, the primary goal is to produce beautiful + functional spaces that fully address the 'wants' & 'needs' of our clients. We combine a strong project management background with a firm understanding of residential architecture & design which allows for a complete and well thought out project. Architecture and Interior Design should respond to the client's needs and aesthetics. The role of the architect is to marry those needs with good design, sourcing and experience. Through listening and collaboration with our clients, we join quality and creative design to provide our clients with spaces that are both beautiful and livable. I use my experience as an architect and interior designer to understand each client, the context of their project, their budget and other specific needs to create special moments in their space. The firm has been working with clients to create living, work, worship, lodging, spa and well-being spaces in the Berkshires since 1989. 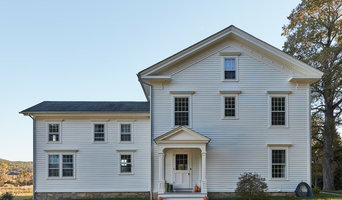 Our portfolio includes award-winning historic preservation projects and residential work, some of it in the “Not So Big House” category, has been highlighted in various publications. Pamela Sandler is an early adopter in the use of green building materials and techniques. Pamela and the firm bring to clients an approachable and collaborative working style while keeping a focus on the details, budget and delivery of the project. The full-service firm provides design through project management services. Allan Shope Architect is a firm dedicated to creating buildings with sophisticated craftsmanship, carbon neutral operation, and inspired design. This office was started by Allan in 2006, following a 25 year tenure leading the architectural firm of Shope Reno Wharton Associates. Allan Shope Architect focuses on a select number of projects each year for clients who want to challenge aesthetic and environmental conventions with the buildings they construct. Combining timeless exterior forms and details with open, modern interior spaces to create striking American architecture for the 21st century. Classic Colonial Homes, Inc. is Massachusetts's premier Design + Build firm, specializing in new home design & construction, existing home renovations, historic remodels and additions. President & CEO, Lance Abbott Kirley leads a seasoned team of design + build professionals to create distinctive, reproduction quality homes and historically-inspired residential buildings for single families, mixed-use developments & entire communities. For three generations, the Kirley Family has been known for both their architecture and superior building craftsmanship. Our new homes combine open interior spaces featuring modern amenities, housed within beautifully detailed structures that capture the heart with their tasteful proportions and character. We apply these defining principals to new home design as well as existing home renovations & additions, allowing us to serve a broad group of discerning clientele across the greater United States. Additionally, CCH's Specialty Materials Production Division manufactures building packages and components in "kit" form, which are sold directly to its customers. These exclusive Architectural Packages include Exterior & Interior Millwork, energy-efficient, architectural clad Window & Doors, Replacement Window Packages for existing homes, specialty siding, Cupolas & Dormers, Porticos, Front Entryways and other Specialty Building Products, all made to order and available to CCH clients for their new or existing home construction project. CCH is based in Florence, MA and commonly serves clients around the greater New England region but often works across the country on Design + Build projects as well. Please contact Classic Colonial Homes if you are interested in discussing your project ideas with a member of our team. Residential Architectural Designer and Home Planner with 30 yrs experience from Northern Maine to the Florida Keys. Specializing in Waterfront homes and Mountain Retreats. We have Designed Extreme Home Renovations and Remodels, as well as Second Story Additions , Kitchen and Bath Remodels. Check out our Before and Afters as well. Verdant Architecture combines a health and efficiency focused design philosophy with a relaxed and fluid process, transforming a client's unique goals into the driving force behind their design. Here, we create healthy living spaces and communities that truly reflect the values and lifestyles of those who dwell in them. We love to work with clients in all ranges of budgets and project scopes and welcome the opportunity to hear more about your project with the hope of providing an enthusiastic design process that suits your budget goals. Kenneth Young Design Services builds a working relationship with clients and their project spaces. We believe this dynamic leads to a design suited to clients' specific individual needs, expectations, and lifestyles. KYDS works for the client and, in doing so, becomes your advocate to benefit you both aesthetically and financially. KYDS delivers a high standard of quality to designs of all price ranges. We are an architectural design firm specializing in residential country home and city apartment renovations, new home designs, furniture design, and general decoration services. Littlewolf Architecture features Passive House strategies coupled with a spirit of invention. Our canvas is regional- the natural, rural, and built landscape. Our compass is universal- the sun, sky, earth, life. Our design craft is grounded in carpentry & construction experience. Our goal is to translate your hopes for a dwelling into a feasible design incorporating site ambiance and strategies for a modest energy footprint. How do I find the best North Chatham architect for my home design project? It is best to hire a home architect who will be involved in all phases of the design process, from the initial concept to the completed construction. The architect is often the first person you will hire for your project. If necessary, they might also help you select and hire New York subcontractors, which can include the builders, engineers and landscaper. Interior architects are also involved in negotiating contracts for all involved participants. It is for these reasons that it is extremely important for you to have a good relationship with the North Chatham residential architect you hire. He or she can be the tie-breaking vote between you and the general contractor and can be your biggest advocate during the construction process. Different architecture firms in North Chatham, NY provide different services, so the scope of the work can span from pre-design environmental impact studies to selecting furniture and finishes, depending on what your specific needs are. It is very important to hire the right professional for the job. Remember that the most well-known or established designer might not provide the best architectural services for your needs. It all comes down to the individual project. Research and ask people whose work you like for recommendations. It's important to have somewhat of an idea of the style of house architecture that you prefer, as well as the amount you would like to spend. Residential architects in North Chatham, NY are natural problem solvers. They will assess the entire situation and help you to solve your problems too. Don't settle for a single company too early. Call and interview a few. Make sure that you feel like your personalities will mesh well and that you like their professional perspective. Find a home architect in North Chatham, NY on Houzz. Narrow your search in the Professionals section of the website to North Chatham architects. You may also look through photos of New York projects to find interior architects and building designers who have worked on a project similar to yours.